Here are a couple more cards I made using the new Swirl Christmas Digikit by Hero Arts. 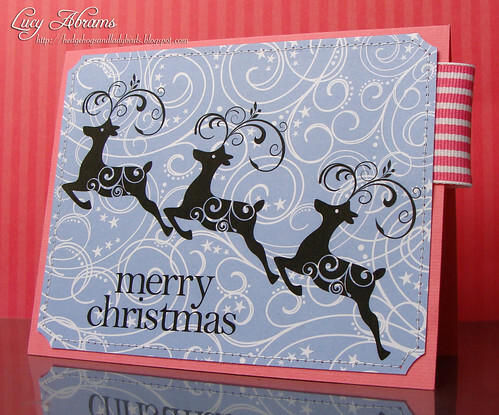 On this one, I combined the reindeer stamp with a sentiment from the new Ornamental Digikit and some gorgeous paper from Pink Petticoat called Sprinkled with Twinkles (such a cute name too.). So perfect for Christmas cards... Oh, and that gorgeous pink ribbon is from The Ribbon Girl. And on this card, I used lovely snowflake digi paper from Hero Arts Holiday Houses digikit and layered over the gorgeous dove from the Swirl Christmas kit, and a sentiment from Winter Bulletin. I added some stitching with silver thread to make it shimmer a little. Might pop in tomorrow... otherwise have a great weekend. Wow! These are so gorgeous, Lucy! Beautiful work! 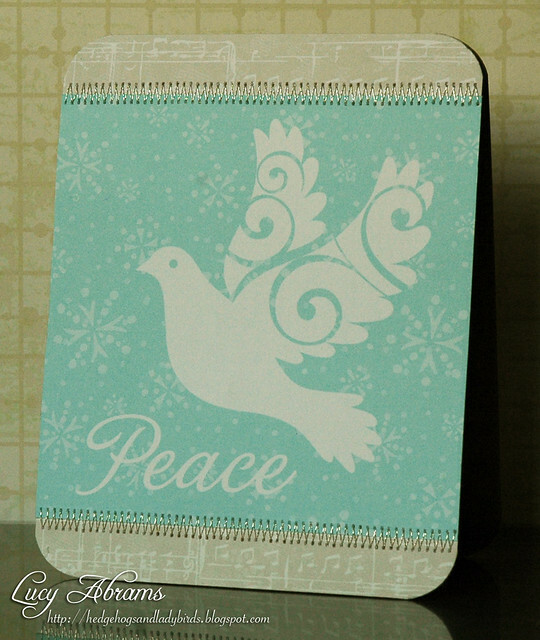 Gorgeous holiday cards, I really like how elegant the dove looks against the blue background!